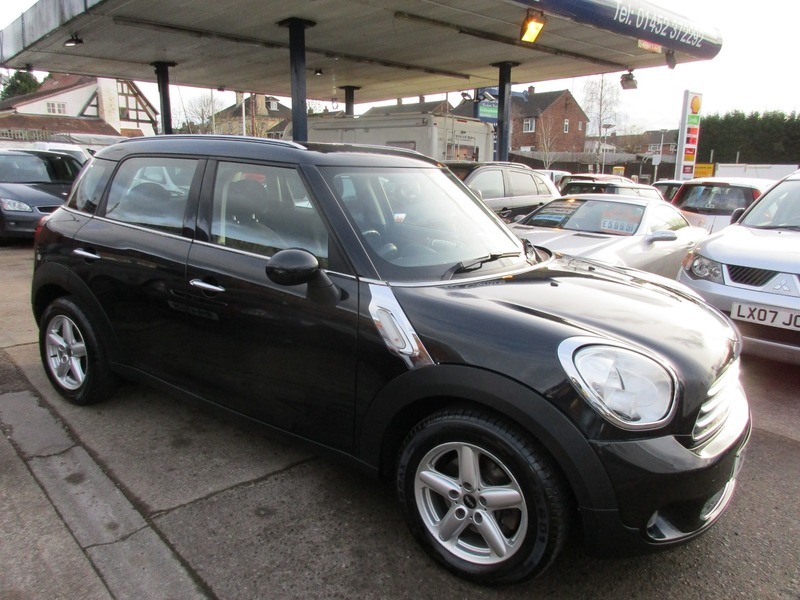 Super looking 2 Owner Mini Countryman Cooper D Diesel with Only 62K,£30 Road Tax, 6x Service Stamps 6 Speed Manual Gearbox, finished in Absolute Black with Carbon Cloth Interior and matching roof lining, Bright Silver Alloys, Sports Steering Wheel,Chrome Line Interior & Exterior.MOT'd and serviced so ready to drive away!! Please call to arrange a test drive,30 cars in stock and changing weekly,part exchange available, full Debit/Credit card facility available. Office 01452 539424 Mobile 07813987368,Full Forecourt and Garage Services, Cedar Vehicle Sales working in partnership with HSC Service Centre.